June 25, 2014 is the thirtieth anniversary of the death of Michel Foucault. Governing Academic Life marks this anniversary by providing an occasion for academics to reflect on our present situation through our reflections on Foucault’s legacy. The focus of the conference, therefore, will be on the form of governmentality that now constitutes our identities and regulates our practices as researchers and teachers. However the event will also create a space for encounters between governmentality scholars and critics of the neoliberal academy whose critiques have different intellectual roots – especially Frankfurt school critical theory, critical political economy, feminism, Bourdieuian analyses of habitus, capital and field, and autonomist Marxism. Proposals for papers and panels are welcome until March 15, 2014. Please refer to the guidelines below. The impetus for this event is the set of changes currently sweeping across UK higher education, which include cuts in direct public funding, new financing arrangements that are calculated to bring private equity into the sector and foster competition between providers, the likely emergence of new corporate structures for HEI’s which will open the sector to commercial providers, the separation of elite from mass higher education and the globalization of ‘trade’ in HE services; but also (and relatedly) the continuing development of instruments for rendering student-teacher interactions visible and comparable, and for calculating and governing the impact, influence and value of academic research. Governmentality research is featuring strongly in the debates around some of this. Yet though largely ‘diagnostic’ in nature, it is increasingly being enlisted as groundwork for the radical critiques and alternatives offered by autonomist Marxist theorists of cognitive capitalism and immaterial labour. Meanwhile, critical theorists who idealise a public sphere of rational-critical debate (with ‘the idea of the university’ at its heart) are struggling to re-define what makes the university (a) public and to re-think the terms of its engagement with the wider economy and society in less radical ways – often without problematising the forms of (Foucaultian) government, or of complicity with capitalism’s logic of accumulation, that are necessarily involved with these reconstructions. This conference aims to bring together leading contemporary scholars and activists who draw on one or more of these traditions for a series of mutually challenging discussions. In general, the conference will be oriented by the concern to think critically about the conditions of possibility of the academy today – where ‘conditions of possibility’ could mean governmental assemblages of one kind or another, capitalist production relations, the forces defining how different capitals (economic, social, cultural, symbolic) register within the academic field, or quasi-transcendental presuppositions of rational communication. Participants will ideally aim to explore how we might think across these usually distinct ways of both conceiving what the university is and contesting what it has become. * Markets, measurement and managerialism: rankings and ratings, rights and royalties, accounting and audit, metrics … and alternative metrics? * Entrepreneurial universities and enterprising academic subjects: personal branding as ‘technology of the self’? * The student as consumer – or as producer? Additional ideas for panels and themes are welcome. Proposals should be submitted as e-mail attachments to A.Barron@lse.ac.uk or M.S.Evans@lse.ac.uk, or in hard copy form by mail to one of the conference coordinators (addresses below). The deadline for receipt of proposals is March 15, 2014. Proposals for papers must include the working title of the proposed paper (which should be suitable for presentation in 20 minutes) together with the author’s name, affiliation, full contact information (including address, phone, fax and email), and a brief (500 words maximum) abstract or outline. Submissions are welcome from graduate students as well as from more established scholars. Proposals for panels (of up to 4 speakers) must include the information indicated above for all papers that are expected to be part of the panel, together with an overview of the panel theme (max 300 words) and an indication of each proposed panellist’s willingness to participate. Timetable: Proposals will be reviewed by the conference co-ordinators, and notice of acceptance will be given by April 15 2014. Registration: A registration fee of £100 will be payable to cover costs. A limited number of places will be available at a concessionary rate for graduate students, adjuncts and scholars without an institutional affiliation. Please indicate if you wish to be considered for one of these places when sending your proposal. Is it time to remind ourselves what the conference is all about? Click here for the home page. That subtitle Exchange and Change could become a mantra: we exchange – that’s what conferences do, in coffee queues, lectures, presentations, workshops, and late into the small hours – and change; we ourselves change; we change ourselves; we change one-another; we change the world…. The butterfly effect is good science. There are just 67 days before the conference. This seems a long time; but the days will race by. Each year around this time the pace quickens as colleagues begin to realize it is time to send their abstracts, make their applications for funding to their institutions, apply for visas, book travel and accommodation, and prepare their presentations – papers, workshops, or posters. The second call for papers is 14 February – Valentine’s Day. As you sniff the bouquets that appear on your doorstep, adjust your bow tie and/or tiara and set out for romance, or, if you are in the UK, as you curl up before the fire to watch what the BBC rather discouragingly announces as highlights of today’s action from the Sochi Winter Olympics, which Team GB was hoping would bring medals, remind yourself that it is time to send your abstract. DPR does not do deadlines, seeing them as just as rigid, joyless and lifeless as they sound. Nevertheless, time is running out. We have an outstanding and brilliant line up of keynote speakers this year: Richard Pring, then Stefan Collini, then Ivor Goodson. Details are posted on the web pages here, where you will see their pictures, brief biographies and the titles of their keynote presentations. Just launched is a DPR blog, something we have been wanting for a while. The blog is in its infancy. We hope you will send your comments and your articles for inclusion, and that the blog will provide a forum for vigorous exchange and debate. Another innovation is the DPR Twitter site. Click, tweet, enjoy! We are grateful to John Blewitt for offering to look after the blog, and to James Duggan for taking care of Twitter. I want to add an appeal which many of you will find familiar: please will you help us to spread the word about the conference? We rely on the goodwill of colleagues to send on information to their friends and colleagues, networks, institutions and mailing lists; perhaps also by using Facebook, Twitter, LinkedIn, Academia Edu – etc. One reason that DPR has continued to grow is that colleagues have been willing to give time to this. We will be most grateful if you can help to make the conference known, by forwarding this link to the conference home page, where there are further links to all aspects of the conference. We very much hope to see you at the conference. Note: Click here to read this newsletter via the DPR website style. This Call for Papers is for the Introduction section, known as “Varia” in the fourth issue of “Theoretical Practice”. “Varia” will be concerned with unsolicited texts, interesting research topics and interventions that do not fit into the thematic nature of the issue. “Varia” will then become a permanent feature of the journal. We encourage you to submit to the Editor scientific articles in the area of broad leftist thought and engaged research practice, in writing that is clear, and is in tune with the practical-theoretical perspective of the journal (with particular emphasis on Marxist thought, as well as, among others, biopolitics, poststructuralism, posthumanism, postcolonial studies, gender, queer, urban, animal research or higher education). This invitation is permanent and is not associated with any particular deadline for submitting articles. The authors and the author must, however, reckon with the fact that the potential publication will depend on the normal mode of publishing in the magazine. The volume of the article (written in Polish or English) can not exceed 40 thousand characters (including spaces and footnotes, please refer to the other guidelines in the section for authors ). Each of the texts is subject to technical editing and double-substantive editorial. Those articles that undergo the process of positive evaluation will be peer reviewed by two anonymous reviewers, independent and non-editorial, who have expertise in the field and relevant research interests. The review process will be ‘double blind’. An article that will pass through this procedure successfully will then be published in one of the numbers thematic magazines. The new MA in Digital Curation (MADC) is a two-year international programme, run jointly by King’s College London and Humboldt-Universität zu Berlin, that responds to the increasing demand for digitally literate professionals to manage and curate the digital information and digital assets of organisations across the public and private sectors, including education, research and memory institutions, as well as wider industry. This unique joint programme allows students to spend a year each in two of Europe’s most vibrant cities – Berlin and London – with the opportunities to engage with the rich culture and heritage of both cities. The MA in Digital Curation will prepare students for leadership roles in organisations possessing significant volumes of digital information and knowledge. Students will develop their critical and reflective capacities by addressing a range of theoretical approaches from archival, library, information and management science, and will acquire the key strategic, technical and practical skills required for a career or further research in the rapidly expanding field of digital curation. Students will study a range of topics including metadata, preservation, knowledge representation, digital libraries, ethics and rights management, and new digital technologies and methods, including cloud, crowd-sourcing, and the social web. MADC is taught jointly in the Department of Digital Humanities at King’s and the School of Library and Information Science at Humboldt, with students spending two consecutive semesters at Humboldt followed by two semesters at King’s over the course of two years. Lecturers are experts in library, archive and information science, with specialist knowledge in digital technologies and processes. They come from diverse and highly interdisciplinary backgrounds, including running digital archives or working in the digital industries. La Ghilarza Summer School bandisce 15 posti per la partecipazione a un corso di alta formazione sul pensiero di Antonio Gramsci. Il corso si svolgerà a Ghilarza (OR) nel periodo 8-12 settembre 2014 e sarà dedicato al tema: Egemonico/Subalterno. The Ghilarza Summer School offers 15 scholarships for participating to an advanced studies course on the thought of Antonio Gramsci. The course will be held in Ghilarza (OR) during the period from 8th to 12th September 2014, and will be dedicated to the subject: Hegemonic / Subaltern. La Ghilarza Summer School publica una convocatoria de 15 becas para participar en un curso avanzado sobre el pensamiento de Antonio Gramsci. El curso se llevará a cabo en Ghilarza (OR) durante el periodo del 8 al 12 de septiembre 2014 y estará dedicado al tema: Hegemónico/Subalterno. La Ghilarza Summer School (GSS) è un’iniziativa dell’Associazione Casa Museo Antonio Gramsci di Ghilarza, con la partecipazione istituzionale della Fondazione Istituto Gramsci (Roma) e della International Gramsci Society (IGS), e con il sostegno finanziario della Fondazione Banco di Sardegna. (Università di Pavia); Gianni Fresu (Associazione Casa Museo Antonio Gramsci, Ghilarza); Gianni Francioni (Università di Pavia, presidente della GSS); Fabio Frosini (Università di Urbino, direttore della GSS); Dora Kanoussi (Benemérita Universidad Autónoma de Puebla, México); Fiamma Lussana (Università di Sassari); Mauro Pala (Università di Cagliari); Peter D. Thomas (Brunel University, London); Giuseppe Vacca (presidente della Fondazione Istituto Gramsci, Roma); Cosimo Zene (School of Oriental and African Studies, University of London). Il Consiglio scientifico è coordinato da un Comitato direttivo formato da: Joseph. A. Buttigieg, Giuseppe Cospito (segretario), Gianni Francioni, Fabio Frosini, Giuseppe Vacca. Il corpo docente dalla GSS 2014 è formato da: Joseph A. Buttigieg (University of Notre Dame, Indiana/USA), Giuseppe Cospito (Università di Pavia), Gianni Francioni (Università di Pavia), Fabio Frosini (Università di Urbino), Marcus E. Green (Otterbein University/USA), Guido Liguori (Università della Calabria), Giancarlo Schirru (Università di Cassino), Giovanni Semeraro (Universidade Federal Fluminense, Niterói – Rio de Janeiro/Brasil), Peter D. Thomas (Brunel University, London), Giuseppe Vacca (Fondazione Istituto Gramsci, Roma). 2. Criteri di ammissibilità dei candidati [qui e in seguito il genere maschile è utilizzato come neutro, per designare entrambi i sessi] Possono candidarsi alla GSS giovani studiosi, di qualsiasi nazionalità, che siano in possesso di laurea magistrale (o titolo equivalente: M.A., Master, Mestrado, ecc. ), che abbiano già svolto ricerche su Gramsci e abbiano conseguito o stiano conseguendo un dottorato di ricerca e/o siano autori di adeguate pubblicazioni su Gramsci. Gli allievi selezionati devono possedere una competenza dell’italiano sufficiente a seguire le lezioni (che si svolgeranno in italiano) e a intervenire attivamente nella discussione, e devono sapersi confrontare con i testi di Gramsci nella loro versione originale. La GSS privilegia un approccio di carattere storico e interdisciplinare. Per questa ragione, nella selezione delle domande è fatta valere esclusivamente l’obbiettiva rilevanza della formazione del candidato e del progetto di ricerca da lui presentato, rispetto alle finalità scientifiche generali e allo specifico tema selezionato dalla GSS. La GSS si impegna a favorire la realizzazione della parità di genere. Per questa ragione, le candidature femminili sono particolarmente incoraggiate. 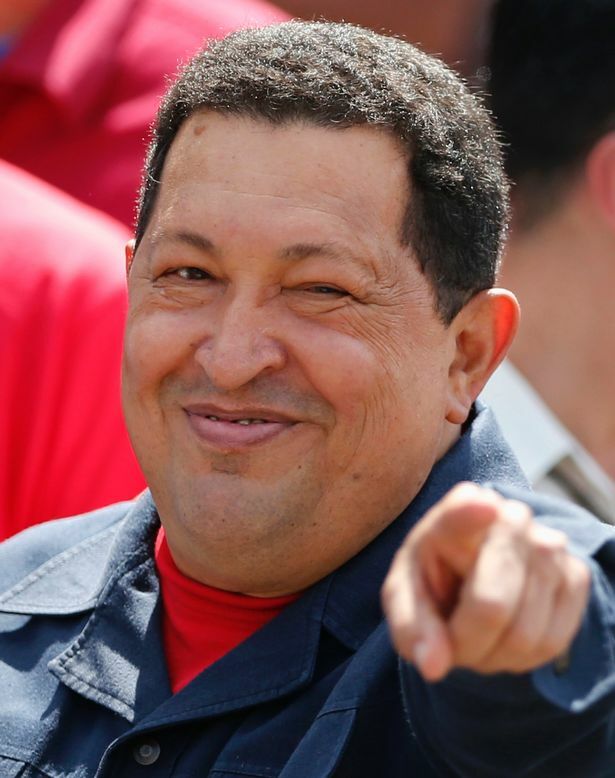 You are invited to the Inaugural Hugo Chávez Memorial Lecture, which will be given by Tariq Ali on Thursday February 20. Doors will open at 6.30pm for a prompt 7.00pm start at the Bolivar Hall, 54 Grafton Way, London, W1T 5DL. REPRESENTING CAPITAL is a unique work of scholarship that records the progression of Marx’s thought as if it were a musical score. The textual landscape that emerges is the setting for paradoxes and contradictions that struggle toward resolution, giving rise to new antinomies and a new forward movement. These immense segments overlap each other to combine and develop on new levels in the same way that capital itself does, stumbling against obstacles that it overcomes by progressive expansions, which are in themselves so many leaps into the unknown. And get updates on Twitter too! All welcome. Please email Merilin Nurmsalu merilin.nurmsalu@gmail.com with interest in attending for catering purposes. 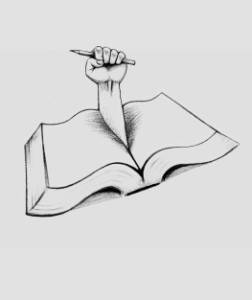 This workshop will critically examine the political economy of current changes in education policy in the United Kingdom and internationally as it has impacted and impacts marginalized groups as well as educators. Discussions will touch on the political economy of precarity and ask difficult questions about the flexilisation of the labour market and how it is reflected in every level of education from early schooling to adult, community, higher and trade union education and training. Participants will look at changes to education in all levels of education from secondary to University, adult, community and trade union education including the depoliticisation of pedagogies and curricula. Further challenges are brought about through introduction of new technologies including distance learning, online administration and new performance indicators, all of which we will argue can be appropriated for critical use. The changing role of educators will be assessed as we look at critical pedagogies, the seen purpose for private involvement in education and the concept of ‘employability’, internships and possibilities for critique and intervention. In that light we invite educators, public intellectuals and trade unionists who look at the need for specific absences to be revisited. 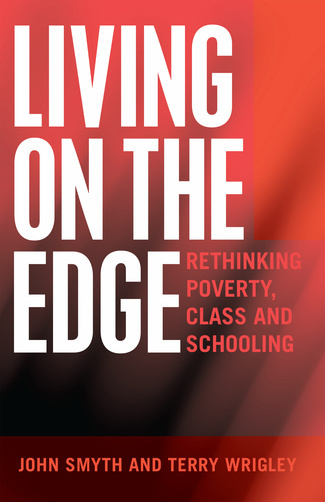 This also includes critical investigations around the understanding of the dangers of precarity for mental health, the costs of precarity for educators and students, political trade union education and the waning of working class and disability representation in recent education policy as well as the classroom. This event is intentionally set to run the day after a very important event on similar themes run by Maureen Spencer, Heather Clay and Alan Durant entitled ‘The state, the university and liberal education: a complex relationship between piper and tune’ on Hendon campus on 13th February. Please email Christiana Rose for more details about this c.rose@mdx.ac.uk . 12.30 – 1.15 Lunch. Over lunch, Steven Curtis, Politics and Economics Lead for the Higher Education Academy (HEA) will take the opportunity to chat to participants about the support that the HEA offers university educators. 5.15 – 7.00 Film screening We will screen, and Director Luke Fowler will lead a discussion about his incredible 61 minute film ‘The Poor Stockinger, the Luddite Cropper and the Deluded Followers of Joanna Southcott’ which is a beautiful documentary about the Marxist historian Edward Palmer (E. P.) Thompson, who was employed by the Workers’ Education Association (WEA) from 1946, aged 24, to teach adults in the industrial towns of the West Riding. These WEA classes were open to people for whom university education was not previously available. Perpetual economic growth is an underlying assumption of the contemporary capitalist organization of society. The idea of growth is embedded not only in the corpus of economic thought but also in the institutions of the economy (Binswanger, 2013; Gorz, 2012). More recently, entrepreneurship, innovation and creativity have been seen as possible ways to solve the current economic and environmental crisis as well as to generate growth (Schaper, 2002). This is the case because entrepreneurship and innovation are portrayed as seeds of new initiatives and ideas that will boost economic development while simultaneously reduce its impact on the climate. Such a belief has produced new markets, such as carbon markets, and an emerging ‘climate capitalism’ (Böhm, Murtola and Spoelstra, 2012). At the heart of this logic is a faith in the individual economic actor, not least the entrepreneur, as a gifted individual with unique abilities (Shane, 2003). And it is evident that the current post-crisis discourse keeps its confidence in the emergent socially responsible economic actor who will contribute to the construction of a moral economy’ (Arvidsson, 2013). This ephemera conference seeks to question the feasibility, moral legitimacy and sustainability of perpetual economic growth. Although contested, current political and popular beliefs tend to hold that the twin crises of economy and ecology are merely temporary, exceptional phenomena and that the global economy will soon bounce back to business as usual. However, others have suggested that we are in the midst of a paradigm shift in the nature of capitalism (Heinberg, 2011). Instead of using our energies to prevent this shift from happening it may be more fruitful to appreciate the opportunities for reflection that are offered by the crisis. On the one hand, we should learn from history and see that the history of capitalism is indeed the history of revolutions. This suggests that we indeed may be at the brink of a new phase in society where we experience a change in the underlying structures. On the other hand, we can explore new forms of economic organization that do not rest upon the condition of growth (Schumacher, 1973; Latouche, 2009; Eisenstein, 2011). Even though the prerequisite of growth has been subjected to criticism within economic theory (Herrera, 2011), we need to further explore its implications. Taken together, the challenge is, in other words, to imagine what a sustainable post-growth economy might look like (Gorz, 1999; Seidl, 2010; Paech, 2012). If growth is intrinsic to the current capitalist organization of society, then we need to ask to what extent it is possible to image a system that does not presuppose perpetual growth. Is economy without growth a contradiction in terms? We can approach the seeming paradox of the post-growth economy by rethinking fundamental economic concepts in today’s capitalist society. Since the value of growth seems to be deeply embedded in many of the most basic economic concepts used today, we therefore need to reconsider from the perspective of a post-growth economy: What is a market without growth? What is the role of entrepreneurship? And consumption? What would constitute organization and work? What is money? And most importantly of all, what is economic growth? These questions may be approached theoretically by analysing their implicit assumptions connected with the paradigm of growth-oriented capitalism (e.g. Daly, 1996), or they may be explored empirically by studying actual practices of alternative economic organization (e.g. North, 2010), such as, for example, slow food movements and direct trade. The aim of a conference on a post-growth economy is not solely or even primarily to produce new knowledge but instead to think about what to do with the knowledge that we already have. Certainly, the problem of growth is nothing new. Since at least the end of the 1960s, it has been known that the expansion of the capitalist economy would eventually run up against the natural boundaries of earth (Carson, 2000; Measows et al., 1972; Georgescu-Roegen, 1971). The most pressing problem today with regards to sustainability is not that we do not know what to do; rather, the problem is that even though we know very well what to do, we are still not doing it. In other words, we know very know that current level of pollution caused by fossil fuels is not sustainable from a long-term point of view. Yet, by maintaining the current level of production and consumption, we behave as if it is. There is therefore an aspect of cynicism, in Sloterdijk’s sense of the term, which needs to be addressed in relation to sustainability and contemporary capitalism. The ambition of this conference is thus to bring together researchers, practitioners and activists who share an interest in the issue of economic growth and sustainability. We particularly welcome submissions that explore the paradoxes of a post-growth economy and the interrelated themes of sustainability and entrepreneurship, alongside an exploration of the cultural and political context out of which they have emerged. * What is post-growth economy? * What would count as work in a post-growth economy? * What should management be like in a post-growth economy? * What is the role of entrepreneurship in a post-growth economy? * What constitute organization in a post-growth economy? * What is the role of finance and debt in a post-growth economy? * What would consumption be like in a post-growth economy? The conference takes place at Copenhagen Business School, Denmark, 8-9 of May 2014. The conference is organized by the Department of Management, Politics and Philosophy. The conference is associated with the Sustainability platform and the Entrepreneurship platform at CBS. The extended deadline for submitting abstracts is 15 February 2014. The abstracts, of no more than 500 words, should be submitted in the format of a Word document to the mail address: postgrowth2014 AT gmail.com. ephemera encourages contributions in a variety of formats including articles, notes, interviews, book reviews, photo essays and other experimental modes of representation. The conference fee has not been set yet, as it is dependent on the number of participants, but will be kept to a minimum, approximately €100. PhD candidates pay a reduced fee, most likely €50. Further information about the conference can be found on the conference website: http://www.ephemerajournal.org. If you have any queries, you can also contact one of the conference organizers: Ole Bjerg (ob.mpp AT cbs.dk), Christian Garmann Johnsen (cgj.mpp AT cbs.dk), Bent Meier Sørensen (bem.mpp AT cbs.dk), Lena Olaison (lo.mpp AT cbs.dk). Conference participants are encouraged to submit their contributions to the Special Issue on Post-growth economy in ephemera that will be published 2015. Arvidsson, A. (2013) ‘The potential of consumer publics’, ephemera, 13(2): 367-391. Binswanger, H.C. (2013) Die Wachstumsspirale: Geld, Energie und Imagination in der Dynamik des Marktprozesses. Marburg: Metropolis-Verlag. Böhm, S., AM Murtola and S. Spoelstra (2012 eds.) ‘The atmosphere business’, ephemera, 12(1/2): 1-11. Carson, R. (2000) Silent Spring. London: Penguin. Daly, H. (1996) Beyond growth: The economics of sustainable development. Boston: Beacon Press. Eisenstein, C. (2011) Sacred economics: Money, gift, & society in the age of transition. Berkeley, Calif.: Evolver Editions. Georgescu-Roegen, N. (1971) The entropy law and the economic process. Cambridge MA: Harvard University Press. Gorz, A. (1999) Reclaiming work: Beyond the wage-based society. Cambridge, UK; Malden, MA: Polity Pressl. Gorz, A. 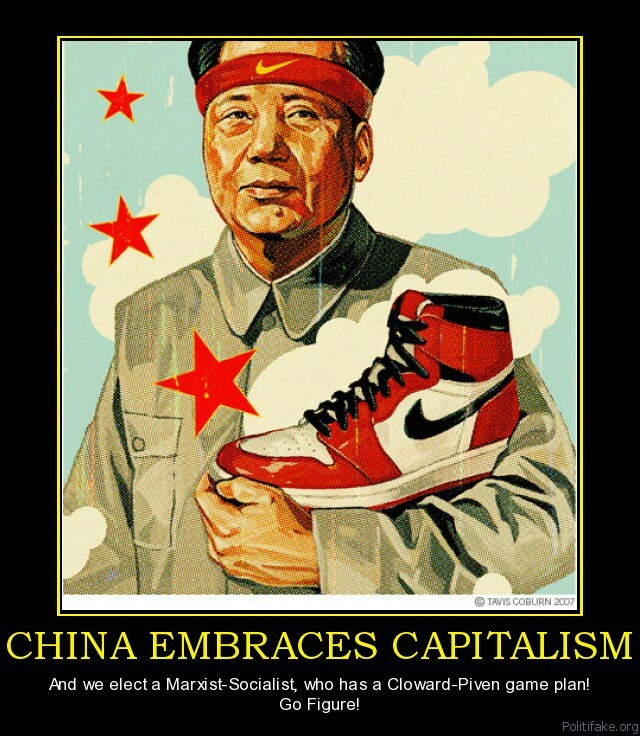 (2012) Capitalism, socialism, ecology. New York: Verso. Heinberg, R. (2011) The end of growth: Adapting to our new economic reality. Forest Row: Clairview. Herrera, R. (2011) ’A critique of mainstream growth theory: Ways out of the neoclassical science (-fiction) and toward marxism’, in P. Zarembka and R. Desai (eds.) Revitalizing marxist theory for today’s capitalism (research in political economy, Vol 27). Bingley: Emerald Group Publishing Limited. Latouche, S. (2009) Farewell to growth. Cambridge, MA: Polity. Measows, D., H. Meadows, D.L. Meadows, J. Randers and W.W. Behrens III (1972) The limits to growth: A report for THE CLUB OF ROME’S project on the predicament of mankind. New York: Universe Books. North, P. (2010) Local money: How to make it happen in your community. Totnes: Transition Books. Paech, N. (2012) Befreiung vom Überfluss: auf dem Weg in die Postwachstumsökonomie. München: oekom verlag. Schumacher, E.F. (1973) Small is beautiful: A study of economics as if people mattered. London: Vintage. Shane, S. (2003) A general theory of entrepreneurship. The individual-opportunity nexus, Cheltenham: Edward Elgar. Seidl, I. (2010) Postwachstumsgesellschaft: neue Konzepte für die Zukunft. Marburg: Metropolis. One way or another, China is taking the international HE sector by storm; its ambition is to lead the world’s knowledge economy within the next 4 decades. Chinese students are migrating to overseas universities in their thousands and constitute a significant proportion of the UK’s HE student body. Focusing on the experiences and perceptions of Chinese students both in their native country and in the UK, this seminar uncovers contentious issues relating to the nature and quality of HE that these students experience. Chinese students represent the largest constituency of the non-EU student population studying in UK higher education institutions: a constituency that has increased in the last decade from about 4,000 (in 1998-9) to almost 84,000 in 2012-3. This paper reports the findings of research which analysed patterns of participation and attainment of Chinese students over time and discusses explanations for these patterns, and implications for HE policy and practice. The increasing income gaps and social inequality which have emerged from China’s rapid development raise issues of social justice for its HE sector, as universities face challenges in ensuring equal opportunity and equitable distribution of financial support to students from all social groups. This paper examines findings from a questionnaire survey that gathered the views and perspectives on social justice-related issues of 1,547 students at six universities in the western province of Shaanxi in 2011. It addresses questions such as: do rural and urban students have equal access to university? How far does poverty affect student access to and experience of higher education? Do students regard government financial support as adequate and fairly distributed? The implications for social justice and the policies needed to achieve it are considered in the light of these findings. This paper presents findings from research carried out in six Chinese universities on teachers’ and students’ perceptions of organisational culture, and their views about and reactions to teaching innovations such as student-centred learning, collaborative learning and the use of innovative educational technologies. Involving 1,051 students and teachers, the study reveals a great need for innovation in Chinese higher education. 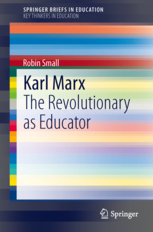 This book is an introduction to Karl Marx as a radical educational thinker. Marx’s own schooling and education are examined to show his interest in educational issues was informed by his own experience. 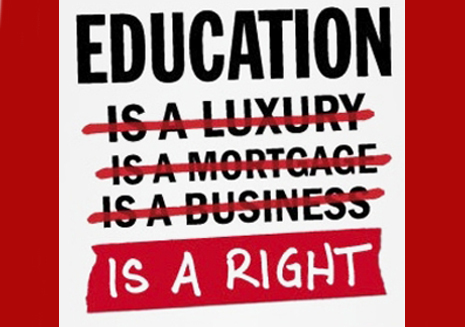 Educational themes in Marx’s thinking are identified, including the role of education in capitalist society, the contribution of education to human development and the character of education in a future society. These are placed in a historical setting by the author and related to public debates over educational policy. Throughout his career, Marx identified education as key to the prospects of the working class. The story of this engagement adds a new dimension to the picture of his work as a philosopher, political economist and socialist revolutionary. The aspects of education that concerned Marx matched prominent features of his theoretical and political activity, and educational themes provided him with a critical application for many of his most important ideas. The author explores Marx’ work on the British factory school system, his use of evidence from the reports of school inspectors, and the contemporary movement that led to the establishment of modern systems of public schooling. 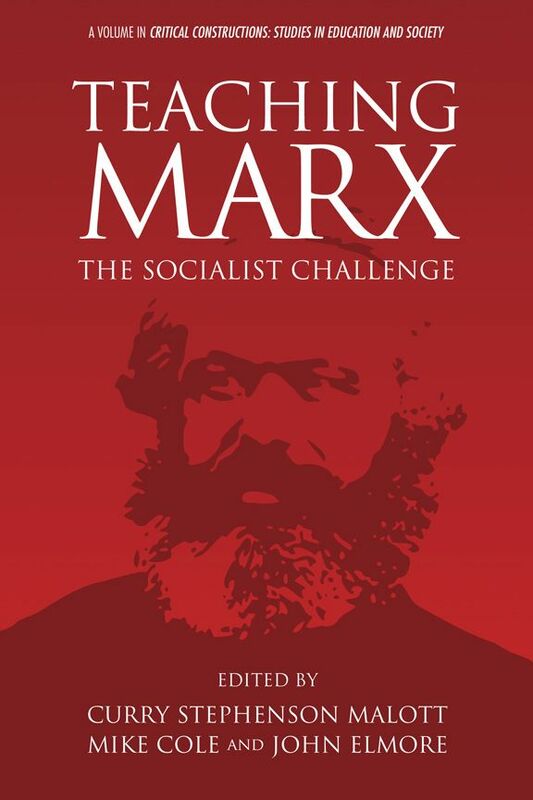 The final chapter relates Marx’s thinking to questions about the place of education in today’s society, showing how relevant it is for the twenty-first century. ROBIN SMALL is Professor of Philosophy of Education at Auckland University and author of Marx and Education, as well as books on Nietzsche and phenomenology. We propose including the whole gamut of causes and consequences, given the extra-ordinary nature of the First World War, its mindless cruelty and destructiveness, on the one hand, but the fantastic explosion of working class revolution throughout Europe on the other. The ruling class was bent on compelling its citizens to fight to the last man, for a cause which disappeared into the mist. Imperialism, which most see as a crucial underlying cause of the war, continues down to the present and conceptions of imperialism, even as applicable to the War of 1914-18, have been developed and discussed.